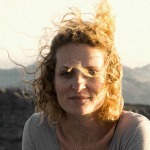 Lynn Staeheli is a Professor of Human Geography at Durham University, and is the Principal Investigator for YouCitizen. She has degrees from Pennsylvania State University and the University of Washington. Before moving to Durham University in 2010, she worked at the University of Colorado and was Ogilvie Professor of Human Geography at the University of Edinburgh. 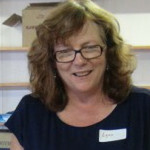 Substantively, Lynn's research is concerned with the paradoxical nature of citizenship: it is a legal standing, but is also constructed through interactions in daily life; it emphasises a shared identity for those within a community, even as it is used to exclude some people from the community; it imparts certain rights - including the right to challenge the state and governments - even as it can be used to discipline people so that they behave in ways that reinforce state power. She has explored these issues through examinations of public space, protest and disruption, community activism, immigration, feminist organising, and youth politics. Dan read for his BA Geography at the University of Oxford before moving to the Centre of African Studies, University of Edinburgh to complete his MSc and PhD. After completing his PhD in 2007, he held postdoctoral positions in the Institute of Geography, University of Edinburgh and then the School of Geography, Archaeology and Environmental Science, University of Witwatersrand. 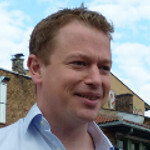 In 2010 he secured a lectureship at the Department of Geography, University of Sheffield prior to becoming a Faculty of Social Science Research Fellow in 2012. Dan's research has focussed upon geographies of identity, citizenship and protest in southern Africa. 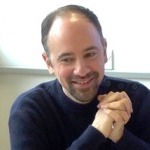 Dr Jeffrey is a University Lecturer in Human Geography at Emmanuel College at the University of Cambridge. Alex joined Emmanuel College in 2012, following undergraduate studies at the University of Edinburgh and post-graduate studies at Durham University. 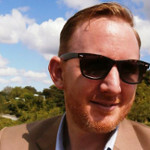 Between 2006 and 2012 Alex was a Lecturer and then a Senior Lecturer in the School of Geography, Politics, and Sociology at Newcastle University. He is a political geographer whose research has focused on the governance of post-conflict environments, particularly the former Yugoslavia, and the role of nongovernmental organisations in fostering democracy. Chloé obtained a PhD in Geography at the Université Paris Ouest - Nanterre (France) in 2011. Her doctoral research used ethnographic methods to trace the formation of political identity in two former townships of Cape Town, South Africa. Digging into the challenges of everyday urban life, Chloé explores the relationship between space and politics at a practical as well as theoretical level. From 2012 to 2103, Chloé was a post-doctoral fellow at the School of Architecture and Planning of the University of the Witwatersrand (South Africa), where she developed research in Luanda, Angola. She questions the meaning of the Right to the City in a context marked by the absence of a democratically elected local government. Vanja completed her PhD in Social Anthropology at the University of Manchester. As part of her research Vanja spent more than 13 months living in a small border town, Bihać, located in Bosnia & Herzegovina. Her main focus was on young people. Challenging a widespread perception that local youth were apathetic and lacking any ambition to cause change, her research examined how young people understood their agentive capacity within a particular location and a particular socio-political context of a place they inhabited. Vanja's research interests include topics such as borders, locality, temporality, age and visual anthropology. Konstantin completed his PhD on the subject of public space in Beirut at the Department of Architecture in Cambridge as part of the Conflict in Cities and the Contested State research project. He holds an undergraduate degree in Social Anthropology and Economics from SOAS, London, an MA in Political Science from the Institut d'Études Politique de Paris, as well as an MA in Housing and Urbanism from the Architectural Association, London. He has worked for international organisations and NGOs in Europe, the Middle-East and Africa, and worked for KCAP Architects & Planners on strategic planning for the city of Perm in Russia. 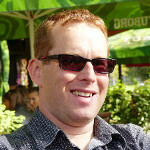 Sandy joined the YouCitizen research project after completing his PhD in Geography at the University of Kentucky. His doctoral research examines the discursive construction of childhood in Palestine, with particular attention to the role that humanitarian aid and development agencies play in shaping childhood spaces and identities. For over two years, Sandy worked alongside Palestinian NGOs, as well as Palestinian refugee children in the West Bank, exploring the ways in which children variously perform and disrupt the competing discourses of Palestinian childhood through their everyday spatial practices. Dima completed her PhD in International Relations from the School of Government and International Affairs (SGIA) at Durham University (UK). Her dissertation examined conflict and security in Lebanon; it problematized and related International Relations concepts such as global governance and human security to the Lebanese context. Dima’s work deconstructs and challenges mainstream discourses on conflict in Lebanon and highlights grassroots efforts pushing for ‘progressive’ change in the Lebanese system. 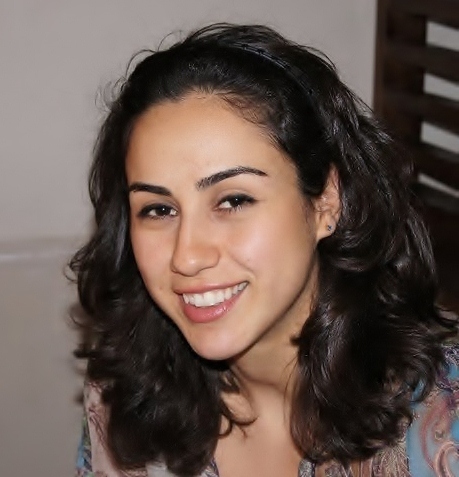 Dima has extensive experience conducting field work in Lebanon, including producing reports on such themes as Lebanon’s post-war transition experience for NGOs such as the International Centre for Transitional Justice (ICTJ). 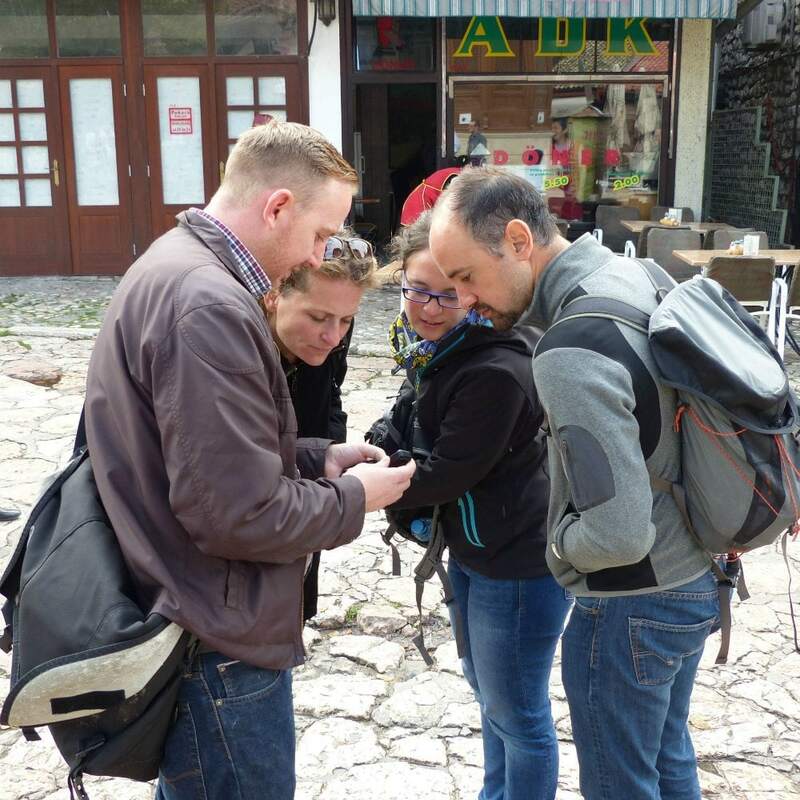 Research Associates at work in Sarajevo.